Two Book, One Girl - emma and co.
As someone who has a bit of an issue with the concept of ghostwriters, I tend to steer clear of most celebrity books, however I have picked up two in particular that I wanted to touch on. 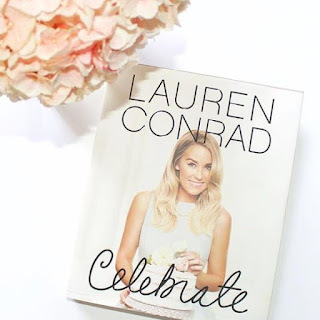 Lauren Conrad // Celebrate: Confession, I am a huge Lauren Conrad fan. From her design collection to her amazing social media accounts and killer hair, I would kill to have her career in a heartbeat. She wrote the LA Candy series a while back, Monikered "the millennial Martha Stewart," her book features everything from recipes to food, decor and etiquette. There were some things that I felt was a bit more obvious, however it was still an entertaining coffee table book. Last month, At $30, it's a little steep, but if you are a fan then I'd highly recommend. Chrissy Tiegen // Cravings: I have to admit, before picking this up, I was not the biggest Tiegen fan and only associated her with the ridiculous antics on Celeb Lip Sync Battle. However, her cookbook is amazing. I have no idea how this women has not died, yet alone because most of the recipes here are rich. I will say that I have not been home to cook anything yet, but with a full kitchen next year (our apartment is going to be amazing!) there will be plenty of opportunities.